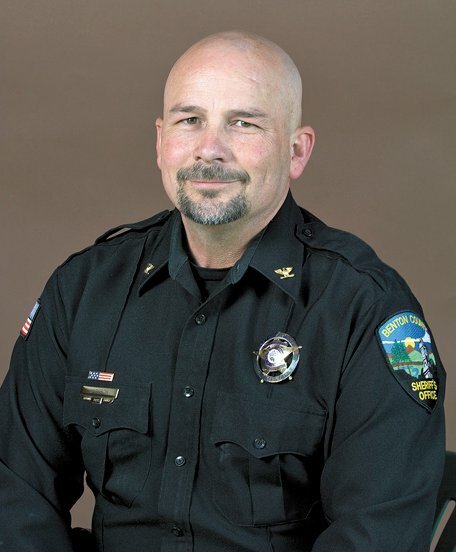 It took the Benton County Board of Commissioners less than a minute to name Undersheriff Scott Jackson as their pick to succeed Sheriff Diana Simpson. Simpson, who in 2006 became the first woman to be elected sheriff in Oregon, announced that she is retiring effective June 30. 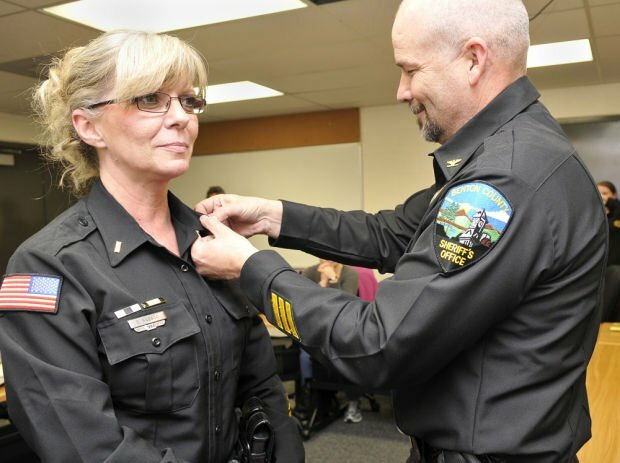 She is in her second term as sheriff and has been with the department for more than 30 years. Jackson’s appointment is subject to a background check. He then will fill out the remainder of Simpson’s term and, if he chooses, he can seek election to the office in the November 2014 election. Commissioners Annabelle Jaramillo, Linda Modrell and Jay Dixon each cited Jackson’s experience and excellent record of management as the reasons for their decision during a 45-second meeting Friday in front of about 12 people, most of them employees of the Sheriff’s Office. “Both candidates had positive attributes,” Jaramillo said, but Jackson got the nod because he had more management experience than the other finalist, Lane County Sheriff’s Sgt. Steven Sieczkowski. Jackson is attending training at the FBI facility in Quantico, Va., until June 14 and was not present for Friday’s appointment. Jackson holds a bachelor’s degree in management and communications from Western Baptist College and a master’s degree in criminal justice administration from Western Oregon University. A veteran of the U.S. Army who served from 1987 to 1991, he worked for the Arizona Department of Corrections from 1991 to 1995, when he was hired by the Benton County Sheriff’s Office as a deputy in the corrections division. He was promoted to the rank of lieutenant and became jail commander in 2006. He was named undersheriff in 2008. Jackson also was a staff sergeant with the Oregon National Guard between 2003 and 2008 and was deployed to Iraq and Afghanistan during Operation Iraqi Freedom and Operation Enduring Freedom.